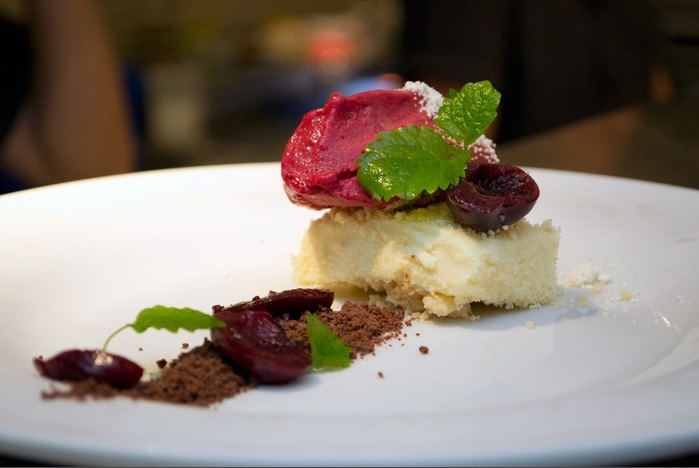 Make Your Reservations for Summerlicious 2014! What’s better than sunny days? Being able to enjoy them with the best food the city has to offer! Kicking off this summer’s events in perfect harmony with these two elements is Summerlicious. For two-whole weeks, locals and tourists will be walking around with their noses in the air and mouths agape because of all the delicious aromas of prix fixe menus filling the streets. Starting today, choose from over 200 participating restaurants that are offering three-course meals priced between $15-$25 for lunch and $25-45 for dinner. Nocturnal socialites, fashionistas, clubbers and foodies from all over are most likely familiar with the dynamic culture of King West, but just in case you missed the memo; this is one of the most spirited areas in the city. If you’re interested in checking out great Summerlicious participants in this area, hit up Crush Wine Bar, Lee or Brassaii- all top rated by expert city food bloggers. You won’t just fall in love with the imaginative cocktails, masterfully created by professional mixologists at Weslodge, you’ll likely be enamoured by the spacious lofts available at Fieldgate’s 90 Niagara, or the eclectic mix of contemporary and ‘60s style condos at The Brant Park by Lamb Development and Fortress Real Development. 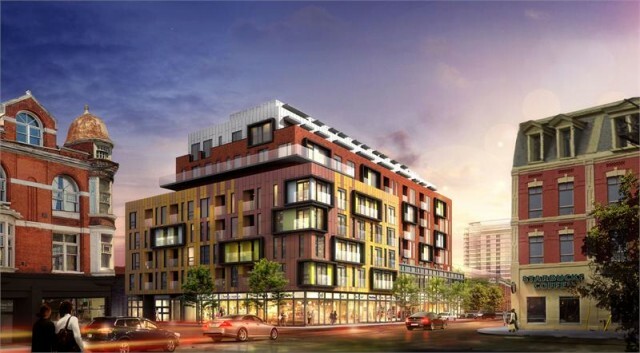 Still in preconstruction (like the others mentioned), gloss over renderings at the The Well by RioCan and Diamondcorp and imagine yourself enjoying Chef John Horne’s famous Pan-Seared Quebec Foie Gras at Canoe whenever you’d like! Known as being a shopper’s paradise, Queen West is by far one of the trendiest places in the city. By night, the historic buildings engulfing this ultra-chic community is transformed into a bubbling locale with incredible live bands in restaurants and bars that are open late. To see it for yourself, visit Lamesa for Filipino cuisine with a twist, Maialino for authentic Italian or Parts and Labour, who has been praised by food critics for Chef Matty Matheson’s innovative culinary creations in a stylish, industrial environment. Whether you are, or “aren’t” a hipster, Queen West will charm you with its down-to-earth, artsy vibe and great location. 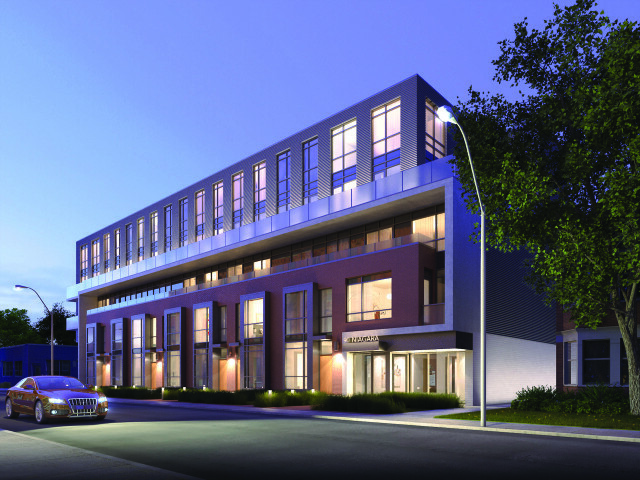 If this is the area for you, Pemberton Group’s Ten93 Queen West has the perfect condos starting as low as $280,000; you can be listening to live concerts at the Rivoli by 2016. Epic Condos by Plaza and Urbancorp is another fantastic development to keep your eye on if you long to be spending summer nights on the acclaimed Drake Hotel rooftop patio. If you really love modern architecture, be sure to have a look at West Queen West Condos (WQW) because these will actually blow your mind. Another Urbancorp development, WQW exemplifies beauty and simplicity with a glass facade that is unlike any other in the city, not to mention that it is conveniently located within walking proximity to Rock Lobster (yay! for Lobster Caesars). One of the most well-known and respected communities in Toronto, attracting tourists and business people from all over the world, Yorkville is obviously a great place to visit during Summerlicious, and of course, if you can afford it, it’s an amazing place to live. This desirable location is crowded with first class retailers, but it also has some of the best “must-try” restaurants as far as Summerlicious goes. First timers, we encourage you to try the mac-n-cheese at La Societe as you leaf through Chaz Yorkville’s brochures; this forty-seven storey building is just as impressive as the hand painted, stained glass work (by Jim Berberich) on the ceiling of the restaurant. Following the success of phase one, Yorkville Plaza II by Camrost-Felcorp will surely receive a warm welcome by buyers looking for a state-of-the-art, luxury home, “in the real Yorkville.” Not that you’ll be putting the gourmet kitchen with custom designed cabinetry and stone countertops to good use during Summerlicious, but these luxury kitchens will have you thinking you can cook like the head chef at Mideastro the rest of the year! If you like One Restaurant at the Hazelton Hotel, you’ll love One Yorkville by Bazis and Plaza. 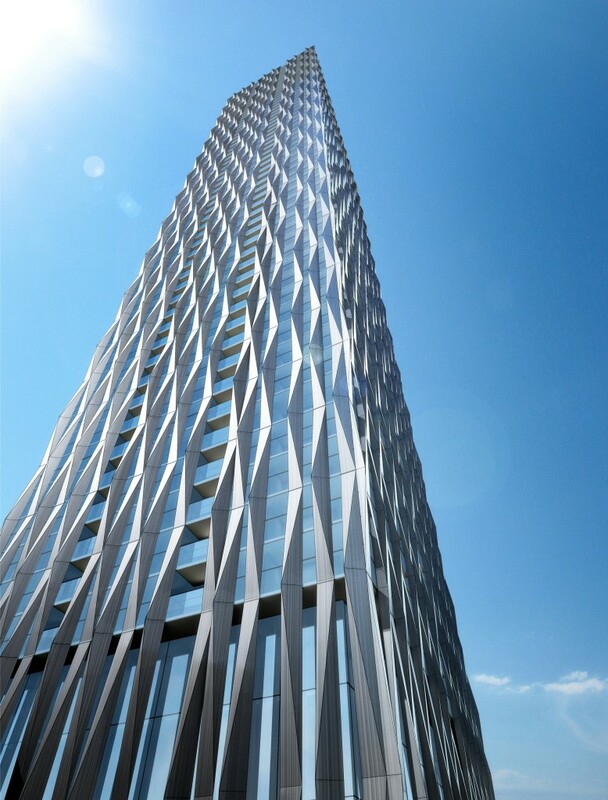 This outstanding piece of ART-chitecture is the epitome of elegance and innovative design. With a facade that architect Rosario Varacalli says will always appear to be changing because of its reflective glass cladding that will mirror colours, reflect light and create shadows depending on the time of day, luminosity and direction, this building will be as memorable as Executive Chef, Mark McEwan’s Valrhona Chocolate Brownie. Let us know where you’re heading first and bon appetite!